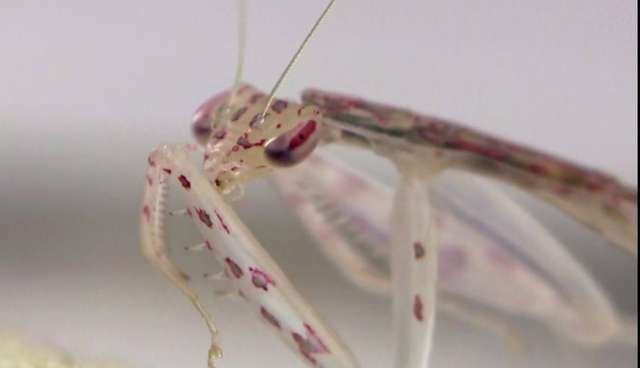 The glass mantis, scientific name Sinomantis denticulata, is a pretty spectacular creature - its exoskeleton is nearly translucent, so whatever it eats can be seen going down the tubes, through its head and into its thorax. The result is mind-boggling: intriguing, grotesque and beautiful, all at the same time. WARNING: The images below may be disturbing to some audiences. 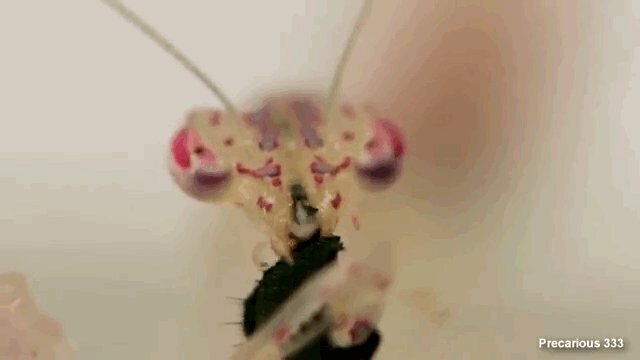 This young glass mantis shows how it's done - eating a blue bottle fly, he looks startlingly like he's made of exactly what his name suggests: glass. 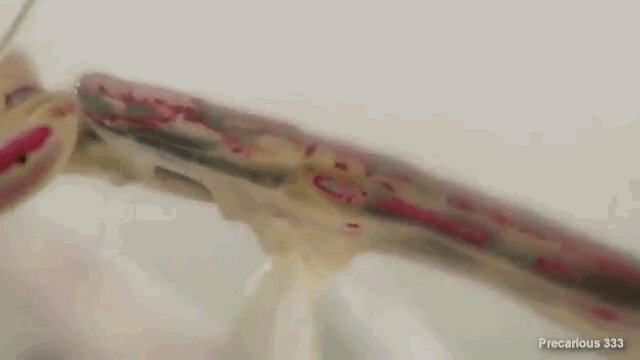 The food can even be seen moving through the insect's body. See the entire bizarre phenomenon below.